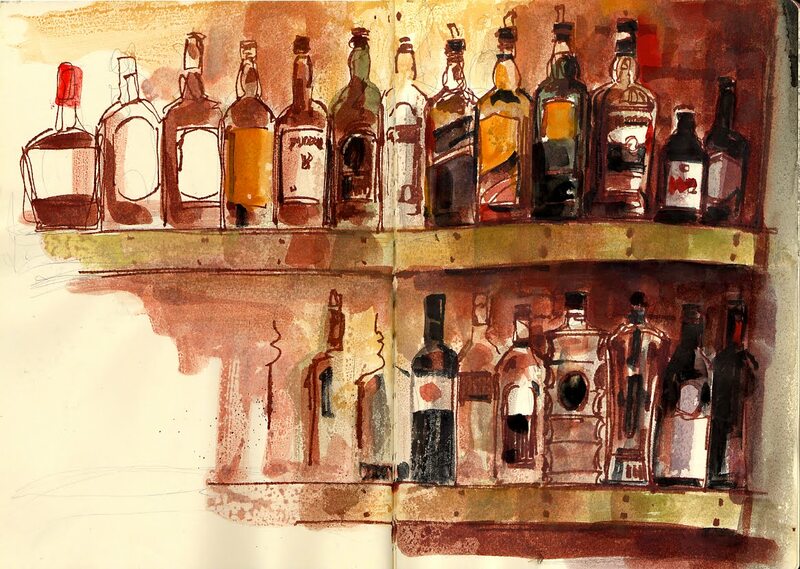 I was sat in the Crown Inn in Crown Heights to have a pint but also more importantly to draw these bottles. This a very relaxing way to pass some time, and you also get caught up in a great many conversations along the way. Good times.